The PSNI is breaching the human rights of families of victims of a Ulster Volunteer Force (UVF) murder gang in the 1970s, the High Court has ruled. The families took legal action against the PSNI for failing to complete an overarching review of the activities of the so-called Glenanne gang. The UVF gang is believed to have been responsible for up to 120 murders in nearly 90 incidents in the Troubles. 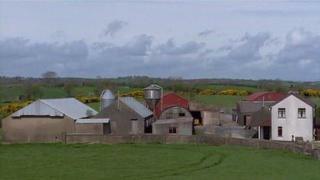 It was based at a farm in Glenanne in County Armagh in the 1970s. Its members included serving officers of the Royal Ulster Constabulary and the Ulster Defence Regiment. The judicial review was conducted at the request of Edward Barnard, whose 13-year-old brother Patrick, was killed in the bombing of the Hillcrest Bar in Dungannon in County Tyrone in 1976. The judge said that in replacing the HET with the Legacy Investigations branch, the PSNI had frustrated "any possibility of an effective investigation". Both sides will now have to agree a resolution which falls within the human rights legislation the judge outlined. Relatives of the gang's victims wept outside the Belfast court, with Mr Barnard saying he had not expected the outcome. "I am shocked - I did not think we would get the victory today that we have got," he said. "We have proved collusion, we have proved that the police halted the report, they stopped the HET from fulfilling their part." Eugene Reavey, whose three brothers were murdered by the gang in 1976, described the alleged collusion as a "war crime". "The judge repeated collusion, collusion, collusion all day," he said. "There is no other word for it than a war crime - that's how big it is. "We have been humiliated, we have been abused by everybody in every part of the journey but today we have been vindicated." Mr Barnard's solicitor Darragh Mackin said the victims' families had been through a "long and turbulent journey". "The procedure and torment that these families have had to go through has been extremely unfair and there has been an abuse of power by the powers-that-be," he added.